Screenshot courtesy: Metro Chicago Exports. Did you know that Chicago ranks fourth among U.S. metropolitan areas in total export volume ($66 billion in 2012), but lags behind the U.S. average in exports as a proportion of total output? That is about to change. 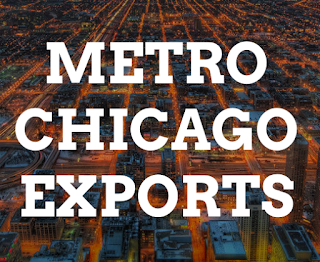 JP Morgan Chase & Co. is generously funding the Metro Chicago Exports Grant Program to expand metro Chicago’s strong export base to meet rising demand in emerging markets. Eligible organizations can apply for the Metro Chicago Exports Grant Program to help take their business to the rest of the world. The Grant Program will provide monetary awards up to $5,000 that will cover costs associated with the company’s next steps to going global. Expenses up to $2,500 will be reimbursed 100%. Expenses over $2,500 and up to $7,500 will be reimbursed at 50%. And there's more. Learn more about eligibility and the number of companies that are able to receive monetary awards provided they pre-qualify. Note: The Wave 2 deadline is July 31st. Act now. Apply here. Questions? Contact Kelsey Schrenk, Program Manager, Metro Chicago Exports.